My husband and I first saw these black with gold skull plates at Zgallerie. They have been on sale for awhile, so I thought they would look great with the gold goblets we bought. I love black and gold together. I guess this table connects visually with Jacqueline's Purple Chocolat Pirate Poison table. 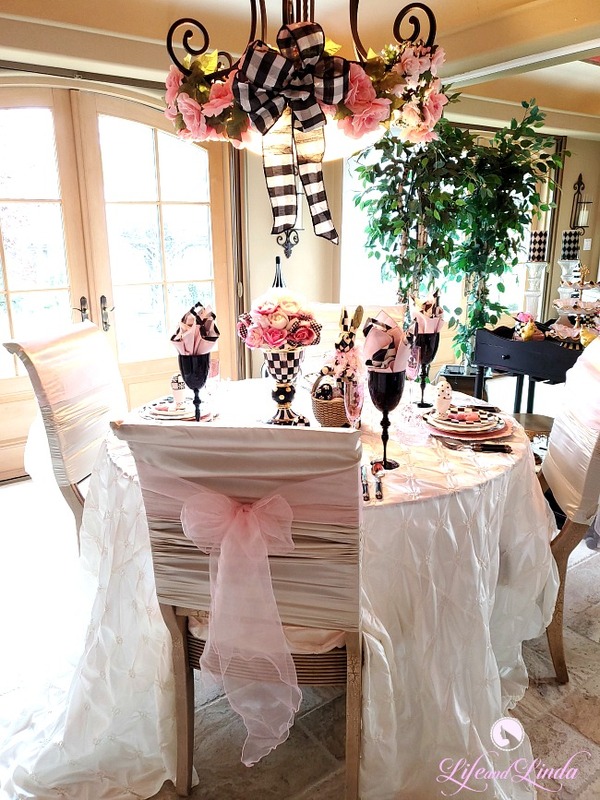 The table starts with this beautiful tablecloth from My Chair Covers. 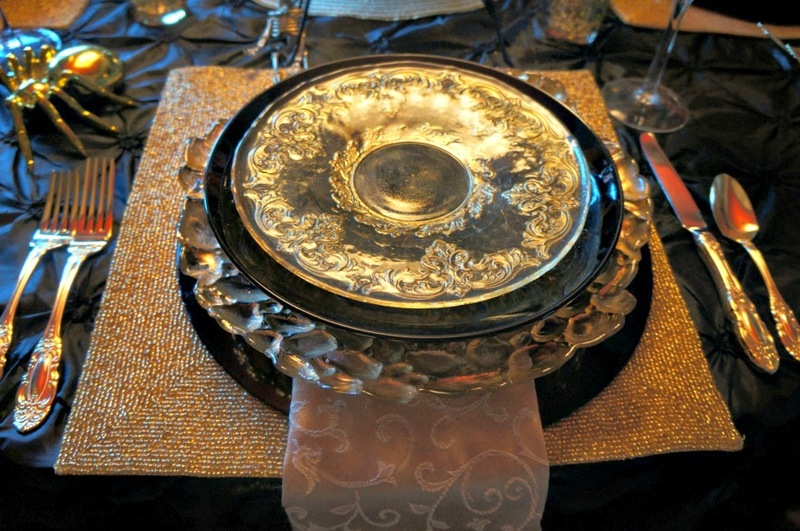 I layered it with our gold glitzy placemats. Gold flatware from Horchow. The golden goblets are Zgallerie. We bought them months ago when they were on sale. I used black chargers with the golden plates I also found at Zgallerie on clearance. 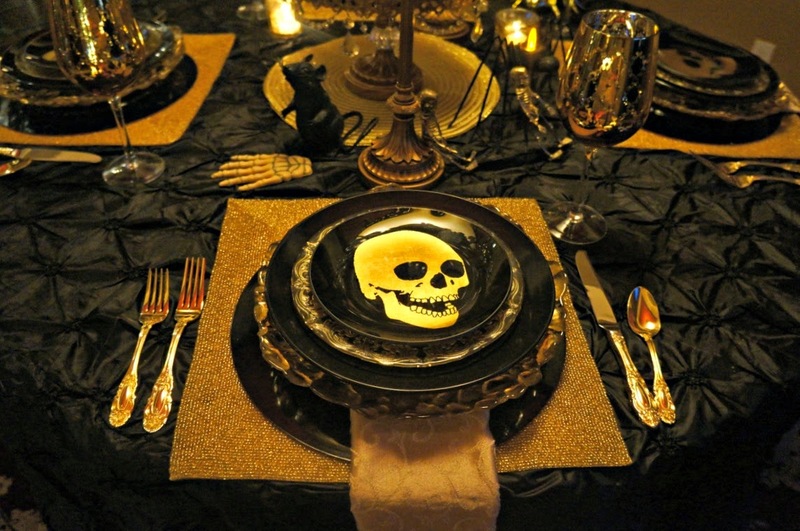 Then I added a black plate, another gold plate from Home Goods and then topped it off with the gold skull plates. The centerpiece is a cake plate from Home Goods, topped off with a large skull from Ross. The little skeletons are from the dollar store. I spray painted gold. There you have it. 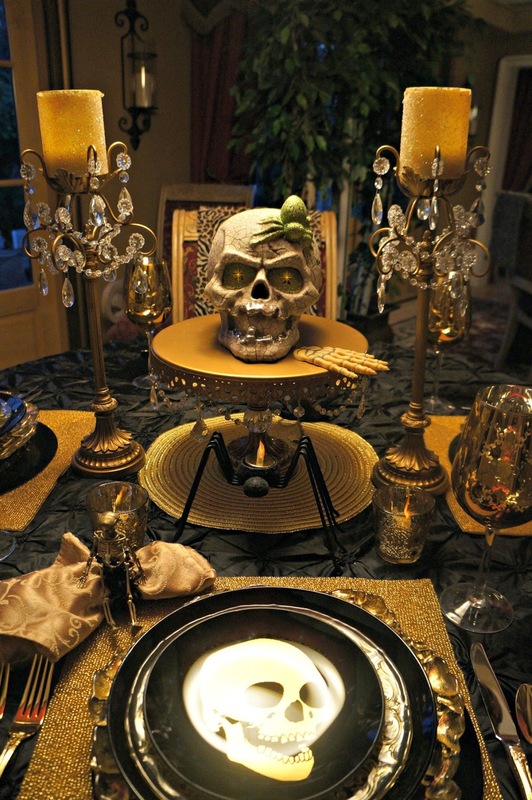 A creepy but elegant skull table with golden highlights. I did this table earlier....Just trying to find some energy to post it. I am recovering from pneumonia. Stay healthy and have a fab weekend. The butternut squash soup will have to wait until next week. Yowza! Only the most elegant ghouls will attend that dinner party! I hope you feel better soon. Pneumonia is nasty. 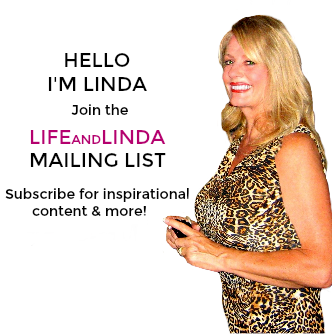 Linda, Sorry you are recovering from pneumonia. That is awful stuff. I had trouble with walking pneumonia. Can't image the real thing. I love your glam style. You can repurpose this tablescape easily after Halloween. Hurry and get well. Oh my pretty Linda, you've been sick with pneumonia; how worried you guys must've been!!! I'm so happy you are in the mend, my friend. 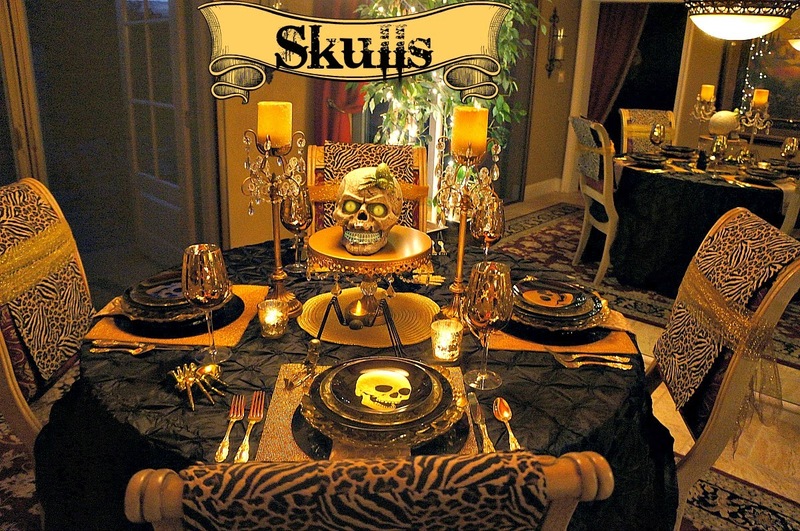 Your table is scary but yet soo elegant, I'd love to dine in such an awesome table, specially on the skull plates, hehehe.. I guess you can just take away the skull plates and you're glam scape is ready for a great evening! Hi Linda, Your table is so special. Can't wait to see the menu. . .spooky? Sorry you are feeling ill. Get a natural product to boost your immune system to help you to recover and stay well. So very sorry you've been sick! I hope that you're resting and taking good care. My son and I both have a tendency for upper respiratory problems & pneumonia. Will keep you in my prayers! So sorry to hear you have pneumonia too! Definitely you are in my thoughts and prayers! This table is so glamorously creepy! See, I told you that we are kindred spirits - I love this table and love the gold version too. Everything you bought from ZGallerie are things I have drooled over there. 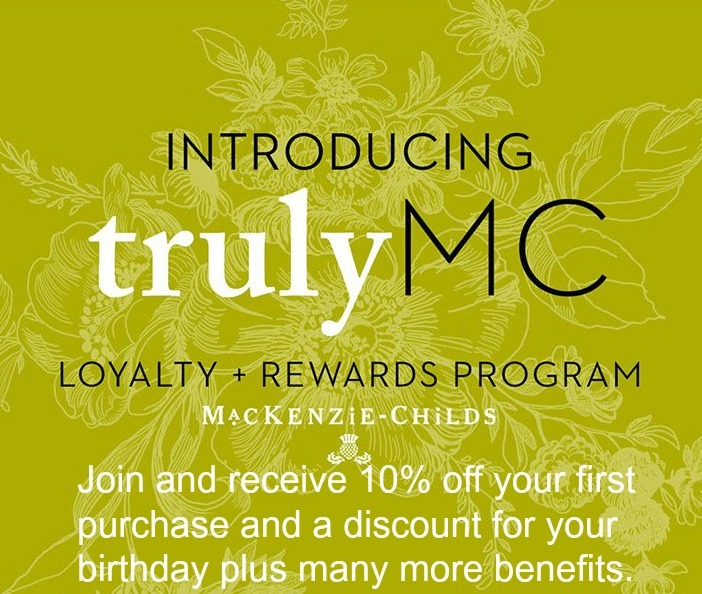 They have such nice things, but it is sure nice to get theirs at a discount. Gold and skulls are perfect together. I love your little guys on the napkins - love a little paint! The chairs are absolutely fabulous too! A little glitz and glam for the pirate in us all! I am always late with this email notification; but is there room for me at your table? You are just such a pro at making a table a feast to attend, even before the food. Gorgeous combinations of gold and black and somehow for me, there is such a JOY in the darker side....HAVE A GREAT OCTOBER! Linda, I'm so sorry to hear you're under the weather...hope you heal quickly & feel better fast. REST!! 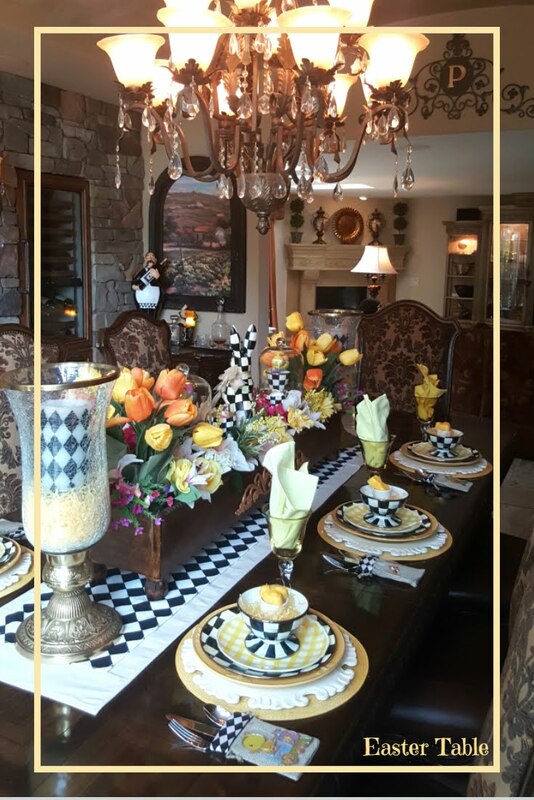 Your table is glorious in all its black & gold finery...love the entire scene. I can see it used for an elegant dinner party some other time, too, with just different centerpiece & a switch of the skull plates. I, too, love black & gold (my mater bedroom colors) & you've really done this up nicely. BRAVO! Now I never would have imagined that skulduggery could be glam... but there you are, you've pulled it off. Hope you feel better sooner than soon. 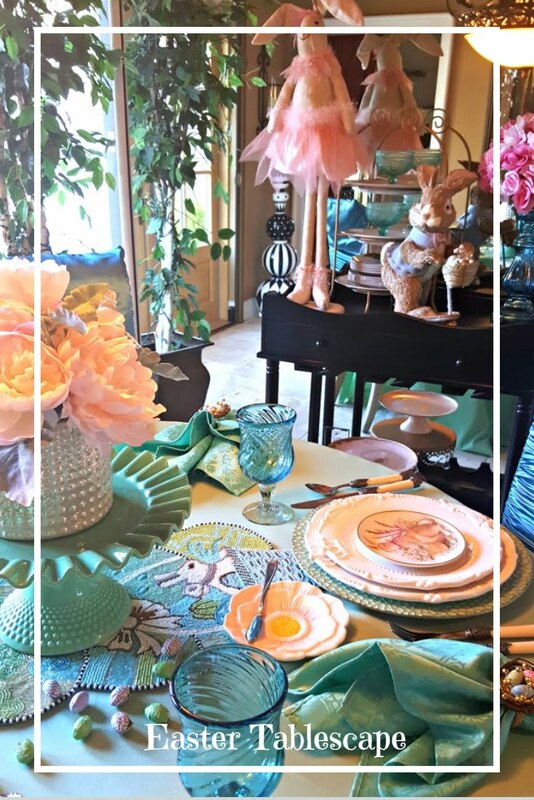 Hi Linda, you are the master of tablescapes and this one is so fun and yes, full of GLAM. Love this for the season. Thanks for sharing. I am so sorry you have pneumonia. Sure hope you are feeling better soon. Prayers for you my friend. p.s. take care, and hope your recovery goes smoothly and quickly. Pneumonia? Ugh! I'm so sorry. I hope you are feeling 100% in no time. I know it's no fun to be sick at all, and the pain of pneumonia is awful. Holy moly, Angeline Jolie!!!! This is a beautifully 'scaped table, Linda! It's a nice balance of spooky and spectacular. I love all the Z Gallerie pieces! I have long admired both the gold "bumpy" plates and those goblets there. So, so pretty! You really did a great job! Feel better!!! Hi Linda, Love this, you should write a book about decorating and tablescapes. You are so creative. Hope you feel better soon. 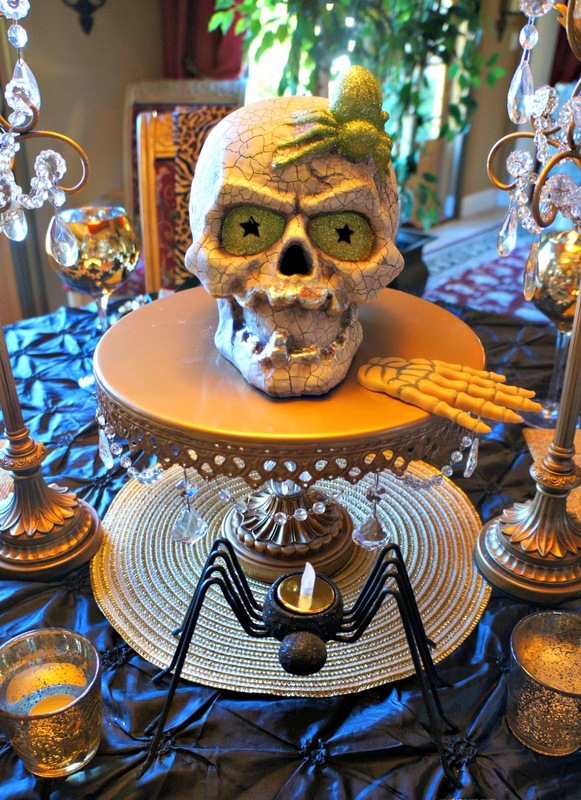 I hope the skeletons chase your germs away so you can enjoy your glamorous wicked fun table Linda! You have scored some fab stuff from Zgallerie, the gold plates on the bottom of the stack look extra cool! 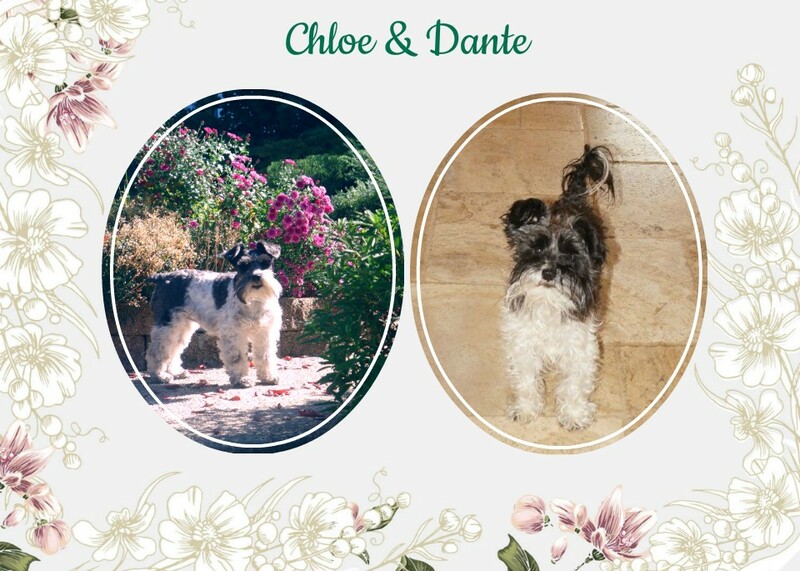 Very elegant and delightful! I *LOVE* this!!! Good thing we don't live closer because I'm pretty sure I'd be inviting myself over regularly to see what new tablecapes you come up with in person. Hope you get well soon. Pneumonia is nothing to mess around with! First of all I am SO srry you have pneumonia! Joe had it last year and I know it is awful! I will be praying (more) for you!!!! Your table is stunning! 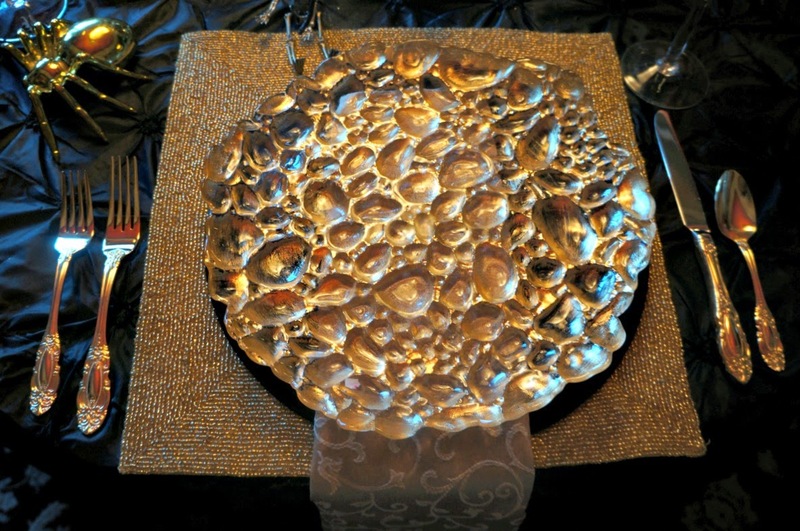 I never would have thought that a skull table could be so glamorous but YOU can do it with style!!! Love it! Good grief pneumonia! So sorry to know you've been ill. I had that once and it takes a while to get over it. Your table is beautiful! 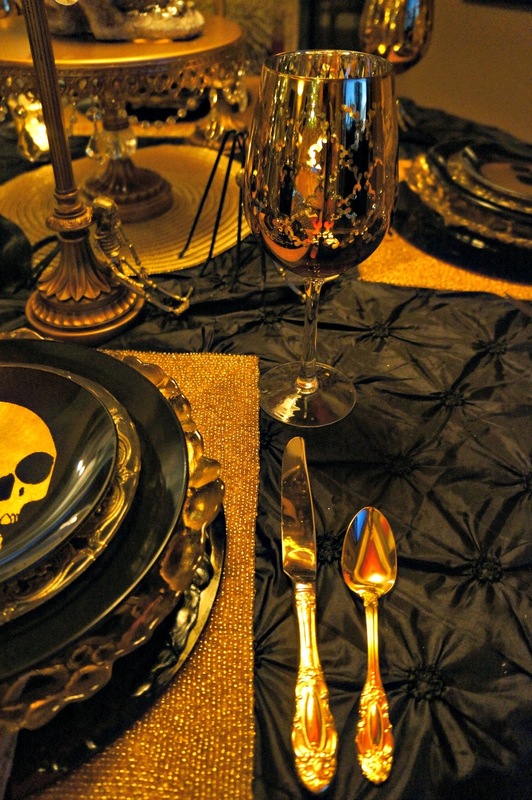 Love the gold plates, beautiful goblets, skull dishes and your pretty chair accents! Your skullduggery table is truly elegant and beautiful! 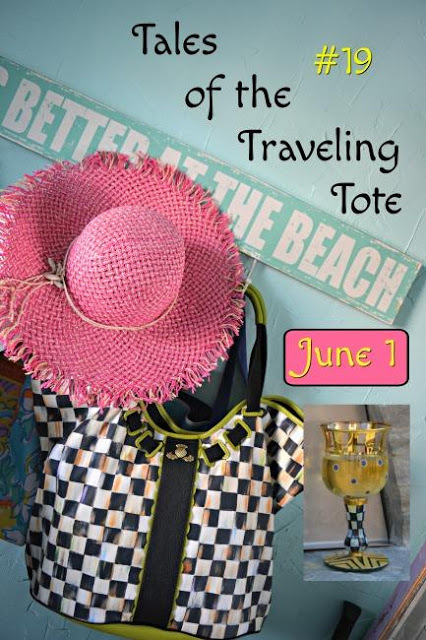 Z Galerie has the most wonderful table top pieces, and you have put your finds to glamorouS use. Thanks so much for your visit which led me to you. I look forward to more. 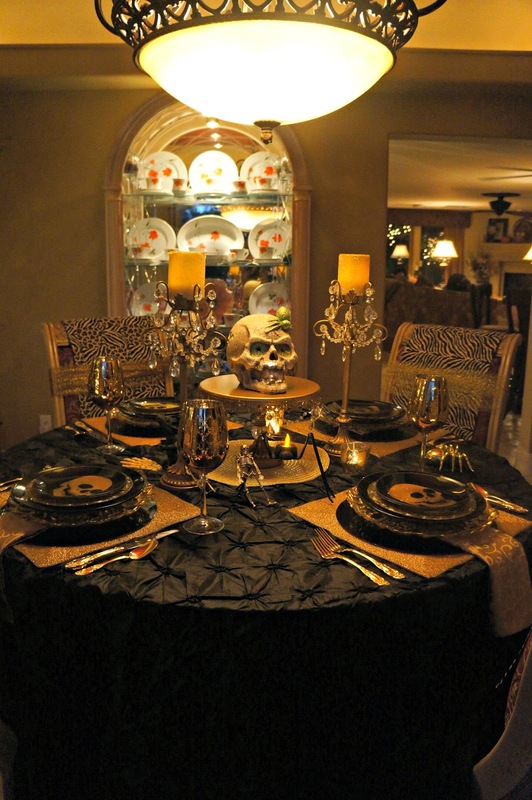 A spooky elegant table..right out of the Adams Family mansion....so beautifully creative!...Hope you are well on your way to recovery!...take care of yourself!!! Oh Linda, your decorating is exquisite. We just moved into our new home, and I'm going to need lots of inspiration with my holiday decor this year. These black and gold skull plates are delightful, and I love ZGallery - me and Jess often go in there when we're shopping. I've seen the cake centerpiece from Home Goods too. And Ross - you have all my favorite shops on here. That spider candle is something else. The napkins under the plates look ghostly too. This centerpiece was created with such imagination. You're so creative, Linda. Thank you for sharing your ideas with us. oh, and I hope you get well from your pneumonia. Oh my goodness, Linda, what a stunning Halloween table! 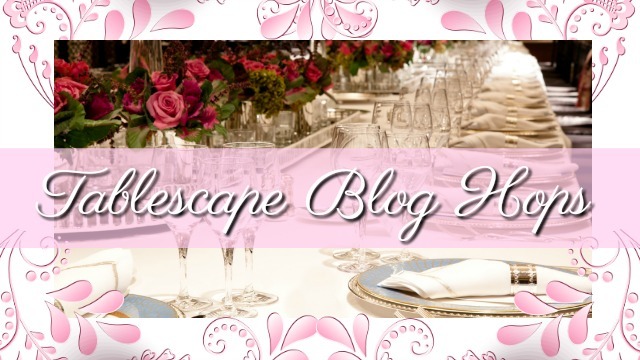 Your tablescape is so elegant! I love the golden flatware and goblets! What a clever idea to spray paint the skulls! Do take care and feel better soon! 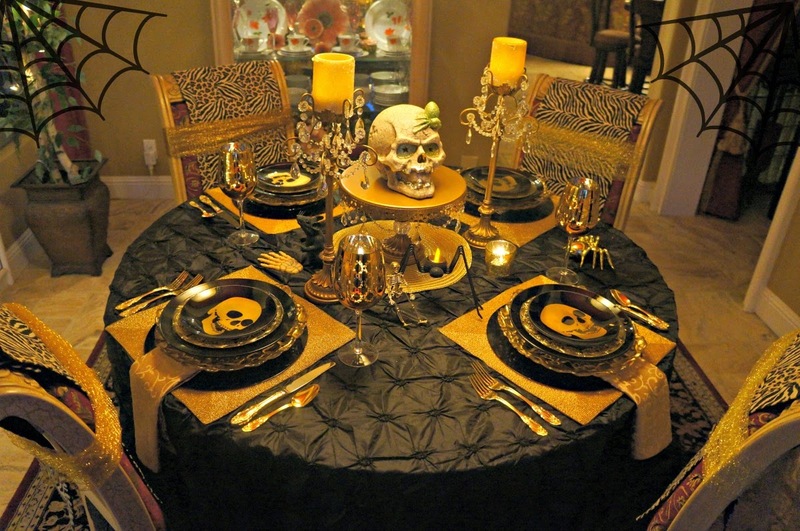 Oh, such a spooky, ghoulish table, Linda - love it! The colours are perfect and the skulls and spiders would have me sitting on the edge of my seat with nervous excitement. How fun for Halloween! LInda, hoping you are feeling better! 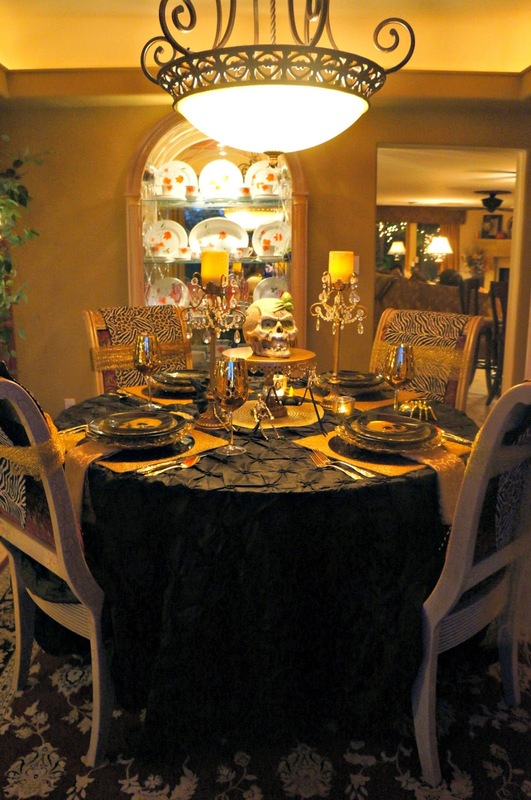 Your halloween table is fabulous and I hope you're able to enjoy a wonderful and fun dinner there! Love the elegant table with the gold touches. Bet those skeletons died trying to get the gold!